I found a cute packet from TPT about the Arctic Region. We made the Polar Bear from it. Then wrote the favorite thing each child enjoyed about polar bears. 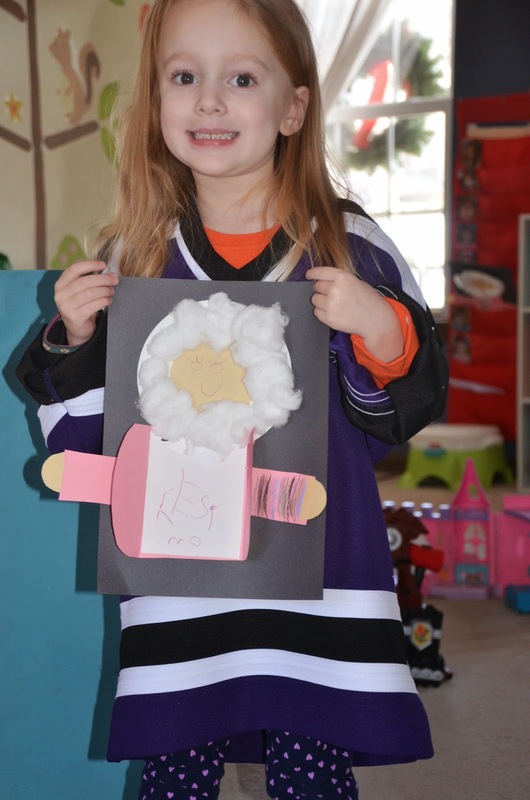 I used a template from another project to use to make the Eskimos. 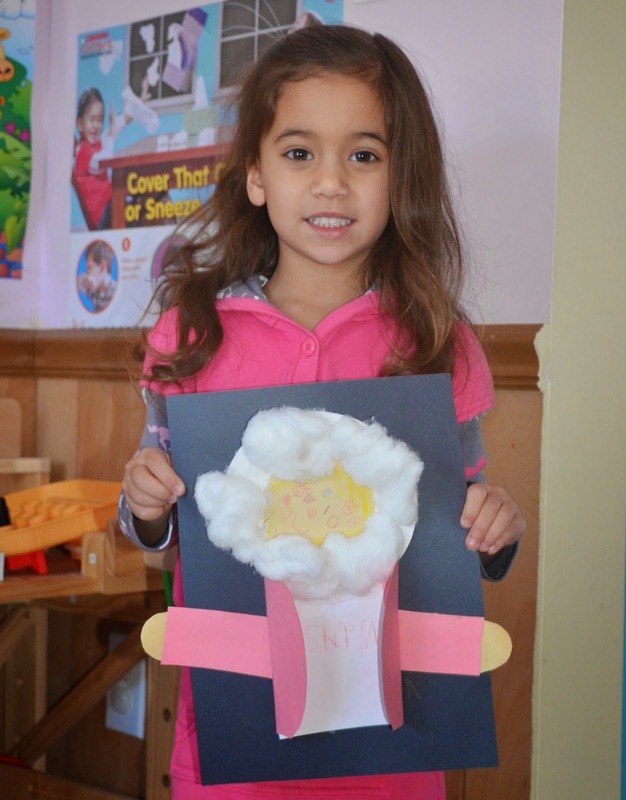 The kids added the cotton balls around the face. Inside the jacket they wrote their favorite fact that they learned about Eskimos. Then what do you think he did? He jumped into the water! 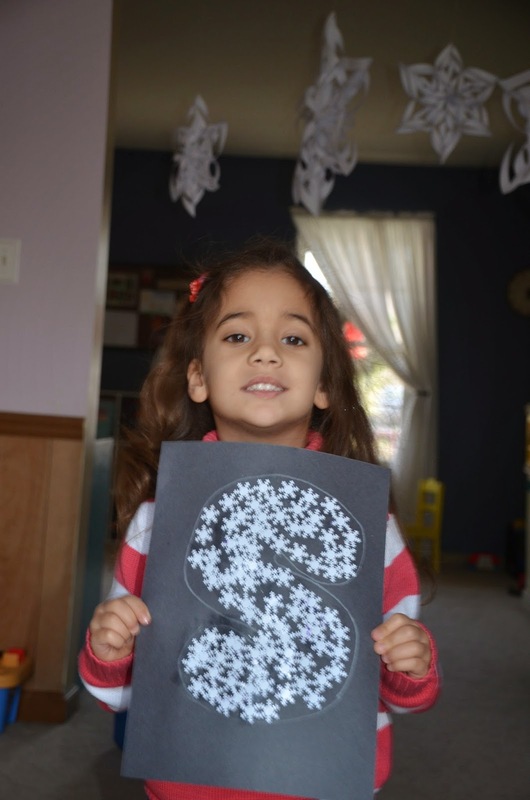 I traced a letter S with a white crayon on black construction paper. 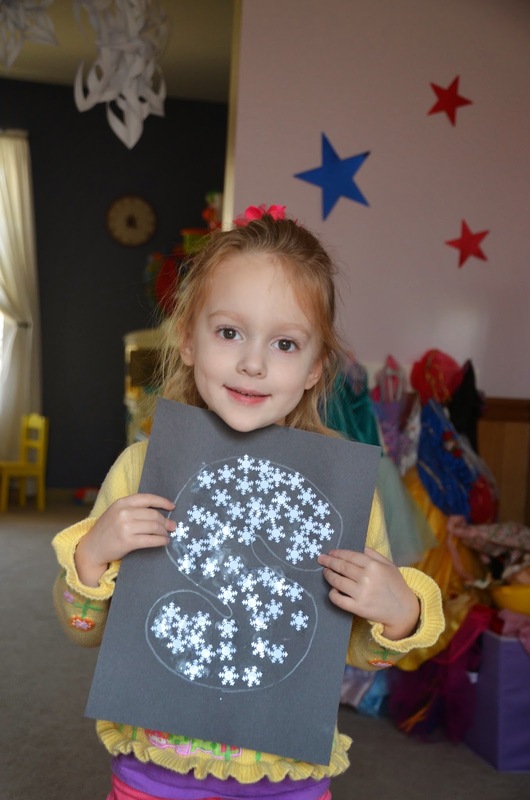 Made tons of snowflakes with a hand punch. The girls went to town with the glue stick.